An additional source of biologically active substances of plant origin. It promotes metabolism normalization, digestive processes improvement, elimination of toxic substances from the body. It has soft laxative and anti-flatulent effect. Buckthorn bark — 0.6 g, fennel fruit — 0.45 g, senna leaf — 0.225 г, bur marigold (bidens) plant — 0.225 g.
Buckthorn intensifies colon peristalsis without irritating mucosa and without affecting small intestine. It is used for sustained constipations, burdened by poor development of abdominal muscles and sedentary lifestyle. It is used for spastic colitises and liver diseases. Ability of buckthorn bark to soften and thin faecal matter helps in case of haemorrhoids and other diseases, connected with painful and injuring defecation. In composition of herbal teas, buckthorn acts as digesting stimulator. In complex therapy, it is used to treat gastric and duodenal ulcer, as well as haemorrhoids. Fennel has spasmolytic, anti-flatulent and antimicrobial effect. 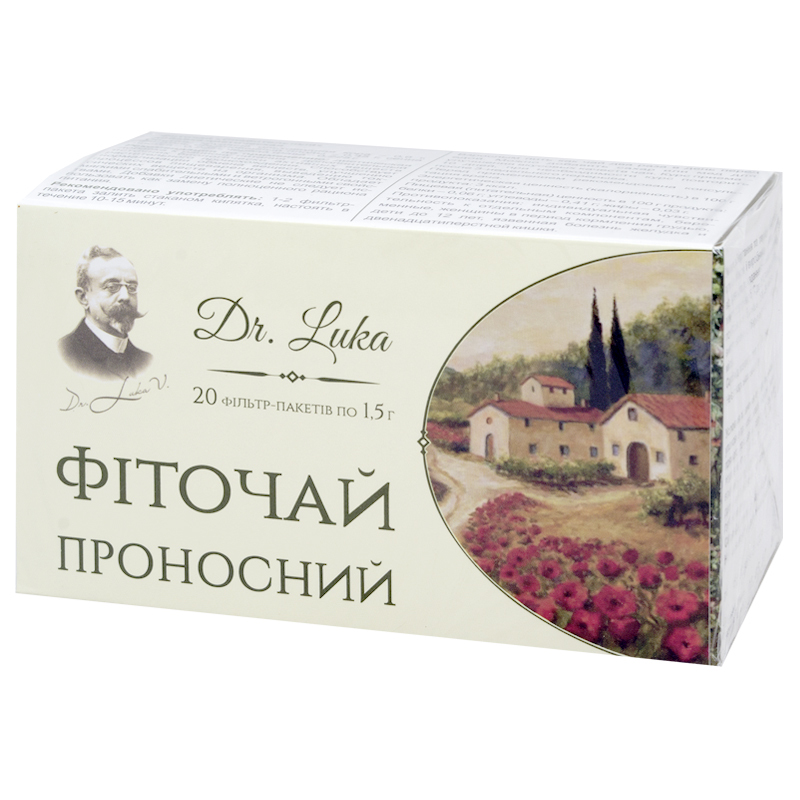 It improves intestinal motility. Bur Marigold (bidens) has diuretic, anti-inflammatory, anti-allergic, choleretic and antimicrobial effect, improves digestion, normalizes metabolism. Put 1-2 bags in a pot and add a glass of boiling water, let it infuse for 10-15 minutes. Adults drink as tea twice a day before meals. To improve the taste add some sugar or honey. Term of use – 10 days, repeat in a three weeks’ break if necessary. Individual sensitivity to certain components, pregnancy and lactation, children under 12, gastric and duodenal ulcer.